After coming back from a hiatus with 2016’s Distance Inbetween, a heavy, guitar-based album that re-established The Coral and expanded their sound from their usual ‘60s worship to include some sounds from the ‘70s, the Coral did what they do best on their next record and made a creative left turn. Move Through the Dawn gets rid of the furious guitar soloing, the pounding rhythms that felt like they were forged in a foundry, and the free-flowing arrangements that relied on lots of first takes to get a live feel. Instead, most of the record has the carefully constructed feel of an 1980s’ production, with clipped drums, layered acoustic and electric guitars, and sonic touches like Mellotron and super-clean vocal harmonies. 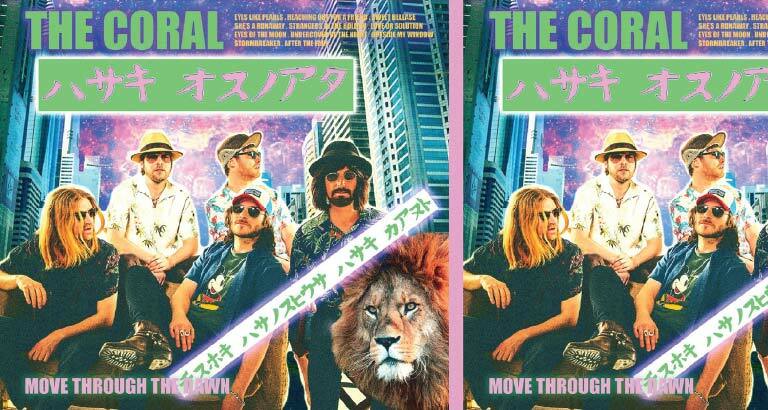 Despite the new tricks The Coral proudly display on the record, they haven’t totally forsaken their old ways, and some of the songs break free just a bit from the modern studio techniques. The mystical ballad Eyes of the Moon has their trademark ramble and nicely ghostly background sounds, Outside My Window heads back to the late ‘60s for some murky nocturnal psych, Stormbreaker brings the power and heaviness back into the mix, and After the Fair is a very pretty acoustic ballad that shows the band members at their tenderest. These non-pop moments help balance the rest of the album’s almost oppressive catchiness and remind the listener that The Coral are a gently weird band who like to stay elusive. As with the band he fronts, Scissor Sisters, on his own, Jake Shears is still a master of pairing downcast lyrics with upbeat music. Sad Song Backwards features a twangy arrangement with lyrics about shock therapy with deceptively catchy results. Even when he reveals more of his sadness, it’s still in vibrant colour; as he opens up on the finale, Mississippi Delta (I’m Your Man), he describes himself as a “necromancer with perfect glowing skin”. As befits a self-titled album, all the moves Shears makes – both familiar and new – feel true to him. Funny, flashy, and not so secretly recovering from heartbreak, Jake Shears is one of the tightest sets of music he’s made. The Beths may have been founded by jazz majors at the University of Auckland, but they quickly built their reputation in the clubs of Australia and their native New Zealand for an impulsive, infectious indie rock. Inspired, at least in large part, by the punk-pop of their childhood, they rely on energised guitar riffs, melodic hooks, and multi-part vocal harmonies. It’s a formula presented in spades on their full-length debut Future Me Hates Me, beginning with the outright banger Great No One. A handful of hyperactive and robust numbers are placed throughout, instrumentally worthy of onomatopoeic, fusion-style titles like Skippedy Blip and Bloop de Bloop. Cole can deliver elegant, heartfelt material with an equal level of skill, as on Everytime, which might as well be a demo intended for a sad Disney theme. Overall, Cole offers his own twist on elegant sorrow, exemplifying his sneaky way with stirring emotions.